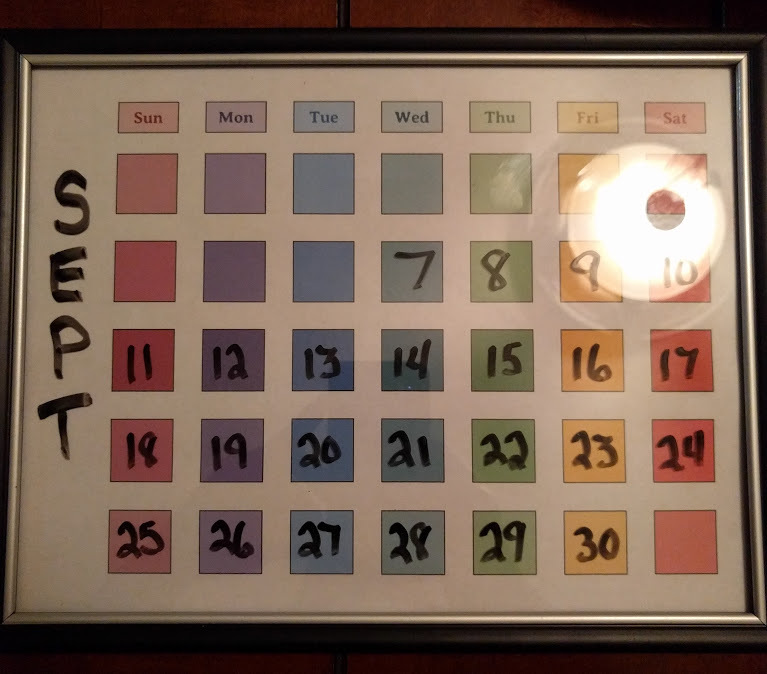 I've seen a few of these calendars made with paint chips and a cheap poster frame. I decided I didn't have the patience or space for a large crafting project and decided to just knock out a colorful Google Drawing. You can grab the template here. Once you make a copy of the document in your Google Drive, you can change the colors, add numbers or vary the order of days. 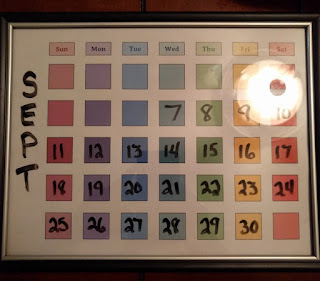 It fits in a standard 8.5" by 11" picture frame and I used a dry erase marker to add in the numbers.